We use a high-quality vegetable tanned cowhide from Italy. Leather ages beautifully – a natural quality we value. It is a leather that stays flexible and moulds to its job. As with all leather, it should be treated to retain its quality. We recommend Brooks Proofide Saddle Treatment, or a similar clear leather dressing. This will also create a better grip. Gropes leathers are supplied with pre-punched holes and heavy-duty double-sided tape on the reverse. 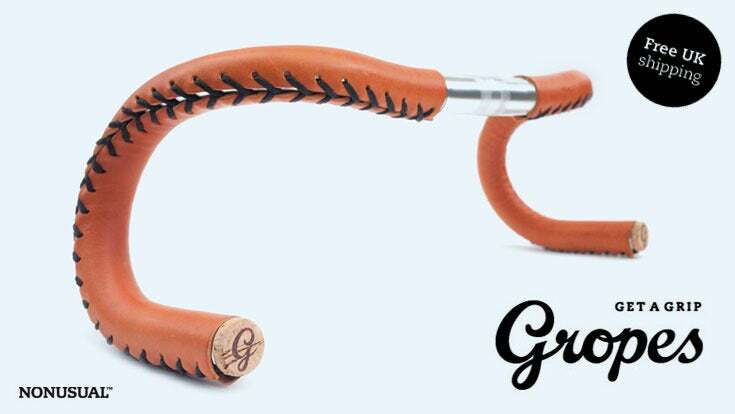 *If the bar end plugs are too small for your handlebars, try trapping the ends of the laces in the gap. Double the lace if necessary.